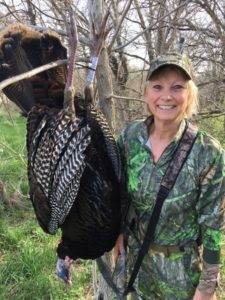 Self guided Deer hunting, Turkey hunting, Waterfowl hunting, Upland Bird hunting and Fishing on private leased land in Kansas, Missouri and Iowa. Private land hunting. No knocking on doors or tracking down landowners. Each farm is mapped on county road maps with aerial photos and GPS coordinates. Hunting is controlled by a telephone or online reservation/map system to ensure safe quality hunting. 100% Fair Chase Do It Yourself wild game hunting. 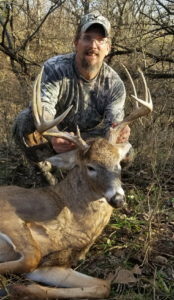 We supply the private land and the hunter supplies licenses, tags and gear. Lodging is not included but we provide a local lodging listing. The number of memberships is limited as to not overpressure the game and maintain high quality hunting for everyone. Weather it be deer, turkey waterfowl or upland bird hunting, we limit the number of members based on the amount of land available. Thousands of acres of private land are available for members to scout and deer hunt. Each hunter may hunt the same farm or hunt several throughout the season. Eastern and Rio Grande Turkey, three states, eight week spring season, five spring tags, plus additional fall tags. Private wetlands with permanent blinds, wade-in areas, crop stubble fields, lakes, ponds and sloughs. Hundreds of miles of grain crop edge cover providing quality wild covey and singles bob white quail hunting. Hunters enjoy having more land to hunt each day than daylight hours available. Tall CRP grass, brushy draws and crop land habitat accommodating the flushing and pointing dog hunter. With land ranging from southern Iowa, through north Missouri, east to west Kansas insures we have good bird hunting somewhere every season. All birds are wild. Members can fish designated farm ponds, strip pits, irrigation/watershed lakes and rivers for bass, crappie, bluegill and catfish. 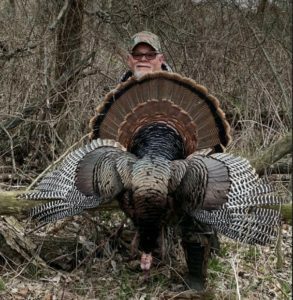 Turkey 27-year member Wayne with another opening day Tom. Congratulations Wayne and good luck the rest of the season.